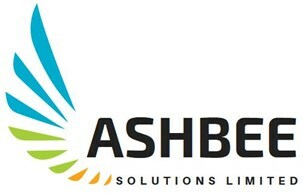 Ashbee Solutions Limited - Asbestos Services based in Ardleigh, Essex. Ashbee Solutions have over 50 years' combined experience working within the Asbestos Industry. From large scale building demolition to garden sheds, our team can deal with any type of asbestos containing materials. We are a HSE Approved Licensed company with vast experience of removing all varieties of asbestos materials from, industrial and domestic buildings, including: offices, hospitals, schools, religious centres, factories and homes. Our continued expansion enables us to offer a nationwide service providing safe & efficient asbestos removal for all projects, from domestic to large ongoing commercial projects. Based on the Essex/Suffolk boarder, we are trusted within the construction industry as a leading contractor and provide full asbestos services to both corporate and domestic customers. We also offer contracts management from initial sampling to reinstatement and asbestos surveys of all sizes.